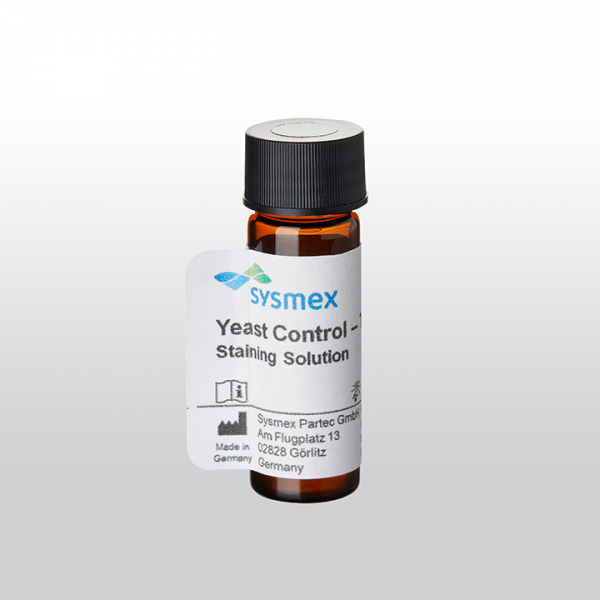 Reagent kit for measuring trehalose in yeast after a cell fixation step. Trehalose assists in stabilizing the yeast cell membrane during nutrient depletion and starvation, and other stresses as heat shock or ethanol exposure. It thus serves as a major stress tolerance indicator. The reagent has been created specifically for selected configurations of the Sysmex CyFlow Cube and CyFlow Space flow cytometers.